Earlier this week, Daf Yomi reached the topic of the mud-mouse - the mouse that is (allegedly) generated from dirt. I have a chapter dedicated to this mythical creature in my book Sacred Monsters (and my views on it are part of why my books were put in cherem). The people that encountered this topic fall into three categories, two of which are of little interest to me, and one of which fascinates me. This group of people has the correct approach, and is thus of little interest to me. The second group consists of people who are entirely unaware that no such creature exists, and are completely confident in the absolute factual truth of everything in the Gemara. The weekly booklet Me'oros HaDaf Yomi took it for granted that such a creature exists, and happily cited R. Yom Tov Lippman Heller's view that it presents evidence for creation ex nihilo. This group of people has an incorrect approach, but it doesn't bother me or interest me that much. In some ways, I am jealous of their simple faith; I have little desire to change their minds. The third group of people is the one that intrigues me. These are the people who are pretty sure that no such creature exists, but cannot bring themselves to say so - either because they are genuinely uncomfortable with the notion that Chazal could be mistaken, or because they are afraid to publicly say so. And so they have a mighty struggle with this mouse. One person told me this week that he had heard of a certain Rabbi in Bar-Ilan's Beis HaMidrash program (i.e. not the academic departments) who claimed that the Gemara was, in fact, referring to a type of snail. Leaving aside the question of how a snail can be part dirt and generated from dirt, there is the rather obvious problem that there is a perfectly good word for snail, chilazon, rather than achbar, which always refers to a mouse. When Rav Aharon Feldman from Baltimore switched sides regarding the controversial ban on my books, and decided to insist that Chazal were infallible in science, I asked him if he really believes that there is a mouse that is generated from dirt. I knew that he was a worldly person, and so I wanted to see his response. Rav Feldman replied that scientists are constantly discovering new and amazing phenomena - why shouldn't it be true? I received the impression, though, that he was trying to convince himself rather than me. He explicitly takes the rationalist approach - although it may not be that interesting, it's good to know that this approach is still being transmitted! Where is the quote from Rav Hirsch found? >>>> This group of people has an incorrect approach, but it doesn't bother me or interest me that much. In some ways, I am jealous of their simple faith; I have little desire to change their minds. WADR, I disagree. While I don’t expect anyone to undertake a campaign of educating them, they do create a Chillul Hashem whenever they interact to any degree with the rest of the world, jew and non-jew alike. as such we do have some responsibility. I give the daf shiur and took the rationalist approach. I quoted Rav Hirsch and used Sid Leiman's article for a reference. When Artscroll discusses the half flesh-half dirt mouse in its commentary they noted that Tiferes Yisrael's reference to Link is a mistake according to "modern scholars," "modern scholars" meaning "Dr. Shnayer Leiman." I agree with Elemir. It's not alright for big rabbis to have this simple emunah. They're leaders of communities and they should be dealing with the issues instead of hiding away. How did Jews ever get the idea that these people should be their leaders? I don't learn Daf Yomi, but yesterday I was learning the first daf of perek hacheilek where the mouse from dirt also comes up. My chavrutra thought it was fantastic and couldn't understand it. I told him him the rationalist approach and told him it's a bit of a controversy. I don't think he liked the rationalist approach so much and responded maybe there are such mice around the world that we haven't discovered yet. I just left the conversation at that. Afterwards he told the rav of the program (a young guy) about the mighty mouse and his was response was to have a look at the Maharal or Maharsha and that there were deep sodot in the words of chazal and they use deep mashalim to teach lessons. I didn't respond to the rav either. You should give the Rav a copy of my monograph "The Sun's Path At Night." "But compare the Hebrew Artscroll Gemara, which mentions Tiferes Yisrael and omits noting that he was mistaken in his reading of Link (even though I had told them about it, which is why it appeared in the English!) "
That could be deliberate, and it won't take much imagination to think of why, but on the other hand the Hebrew and English were worked on by different people, and is not simply a translation of one and the other. As an aside, at least one person who works on Artscroll Hebrew gemaras is certainly very literate in academic sources, and likely several are. What's the fun in being Maimonidean if you can't conceal knowledge from the masses? I'm not sure if he did Chulin though. I'm just curious as to why this has to prove that chazal were mistaken. Does the gemarah say that such a thing exists and has been seen by the rabbanim who are discussing it? Is it not possible for them to simply be talking about a halachik construct based on the discoveries of others? If I were to bring a posek a story of a 3-header monster that was documented in a credible scientific journal, would he not be able to discuss its halachik impact without asserting whether or not he believes it exists? This is similar to what R' Hirsch was saying but I don't see why this is the great undoing of chazal. I take it that you haven't seen the Gemara... it presents the mouse as something that gives evidence for techiyas hameisim. They did believe that it exists. But this is not "the great undoing of Chazal"! The rabbi of my shul gives the daf shiur - he took the standard rationalist approach (he actually mentioned your book). I think, believe it or not, that Artscroll gives the rationalist approach as an option in their notes. They mention, if my memory serves me well, that what might have been observed was a mouse that was not born fully formed, and the disfigured part looked like earth. The maggid shiur did make an interesting point. we shouldn't simply write off the halachos about tum'ah of "dirt-mice" as based on the quaint but misguided understanding of Chazal - rather, if the understanding that these mice spontaneously generate, their hilchos tum'ah may have applicability to cloned animals today, if a cloned sheretz can be considered birthed "mai ayin". In a daf yomi shiur given by a well known rav in flatbush 2 days ago, he pointed out that the phenomenon of a chetzyo achbor v'chetzyo adamah is readily explainable in view of the well known fact that lice can be generated by dirt! How can someone who denies that mice can generate from dirt still believe that people once lived to be 900 years old and that the sun stood still for Yehoshua? I wish I had that "simple faith" you talked about. It's very difficult to be Orthodox when you start down this road. Aryeh L., your beef is with your childhood Rebbeim who either didn't know or didn't care that as a rule, we are not required to accept Chazal’s pronouncements about science as immutable fact; that we are not required to understand every medrash as a telling of a literal ma'aseh she'haya; that the Torah does not require that we live at odds with scientific observation. Had you (had everyone) been taught these things, it wouldn't be so crushing to hear it in your adulthood. As it is none of this discussion has any impact whatsoever on 99.99999% of your knowledge of Torah. Why is this little mouse the parade example of obviously mistaken scientific statements made in shas? There are countless examples of such statements. In Bechoros there are statements about the gestation length of animals that are way off base. The same Gemara speaks of dolphins [and no, it is not meant "as an allegory", it is in a sober halachic discussion.] In Niddah, and I am no OBGYN, but in Niddah there are many medical assertions about the source of various blood and milk that are wildly off target. Truly, there are scores and scores of examples. So why the hoopla over the mouse? Gestation periods are not known to the average person. The Gemara doesn't say anything inaccurate about mermaids or dolphins; the inaccuracy is only in Rashi. There are other examples, but the mouse is very relevant because it's something that even a basic education today tells us that it doesn't exist. "Gestation periods are not known to the average person." Maybe. I'd say most people are aware that lions do not gestate for three years. "The Gemara doesn't say anything inaccurate about mermaids or dolphins; the inaccuracy is only in Rashi." How do you figure? The Gemara says some creatures lay eggs and some give birth live. It then says "dolfins" - using that exact word - give birth like human beings, and the Gemara proceeds to define dolfins as "men of the sea". That's not rashi, that's black-on-yellow gemara. First things first, I love Mighty Mouse, great picture. Time and time the same basic theme is at the crux of the matter regarding Chazal. We have no reason in any logical or critical sense to claim Chazal were on some great superior level. Further Judaism is not a religion that places people on pedestals beyond reproach or question, and putting people up there may amount to some type of forbidden worship. The Rambam makes it clear and logically so, that the generations increase in wisdom and knowledge vs. the backwards claim that they decrease as we move away from Sinai. This Rabbinic claim has been so detrimental to correct thinking it can not be understated how it keep people down and under control. The Talmud is chock full of so many things that by today standards and past standards prove beyond any doubt we were not dealing with men of infallible ability or superior human intellect. Rather we see just ordinary men, maybe, often superstitious, often seemingly with some kind of obsessive compulsive disorder, arguing points of plain nonsense just to trying to best each other in a game of mental gymnastics. Everyone likes a good debate, but make them about something that matters in people lives. So much to do about nothing so often, that can only mean some had nothing really better to do. I hope sooner rather then later, all Jews realize that Judaism can not truly grow and move into the light as long as they remain overly tied to the past. We do need to absorb good lessons from the past, keep beautiful traditions that connect us to the past but we need move forward and deal with today. "This group of people has the correct approach, and is thus of little interest to me." "This group of people has the correct approach, and is thus of most interest to me." "This group of people has an incorrect approach, but it doesn't bother me or interest me that much. In some ways, I am jealous of their simple faith; I have little desire to change their minds." Really? It doesn't bother you that at a time when the traditional beliefs of your religion are so challenged, its accepted leaders, almost to a man, declare that to be within the pale one is absolutely required to believe in obvious stupidity? If so, I have to wonder how seriously you really take these issues. "Aryeh L., your beef is with your childhood Rebbeim who either didn't know or didn't care that as a rule, we are not required to accept Chazal’s pronouncements about science as immutable fact;"
The gemarah treats halacha and science similarly. To the extent that you think their science was wrong, logic would dictate that their halacha is equally suspect. The idea that these realms are distinct is necessary for the Modern Orthodox (and Rambam) but not supported by the gemarah. "that the Torah does not require that we live at odds with scientific observation." Well of course not, the Torah assumed its "science" correct. Aryeh's problem is not one of "requirement", it's that when you realize people believed in lots of wildly incorrect things, you start wondering exactly where the line is drawn. I find it entertaining that some of the same Rabbis who insist that there are only 3 animals with one kosher sign could simultaneously insist that maybe there are mud-mice out there because maybe we haven't discovered them yet. "It's impossible to go through any tractate in Shas without encountering examples of scientific "facts" that are contradicted by modern science. " 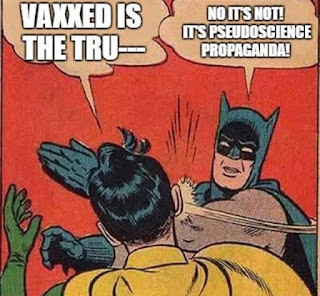 You can read the most prestigious scientific journals, published just decades ago, and find "facts" that are contradicted by more recent discoveries. That Chazal didn't get everything right is no embarrassment; they used standard methodology for their times. Yeedle, thanks for the examples…. here’s a substantially more comprehensive list. What makes you say that? Why would you be jealous of a deficiency? I never understood how a rationalist can say that. I did qualify it by saying "in some ways." It makes for a simpler, happier life! Charlie: That Chazal didn't get everything right is no embarrassment; they used standard methodology for their times. I never argued with this. 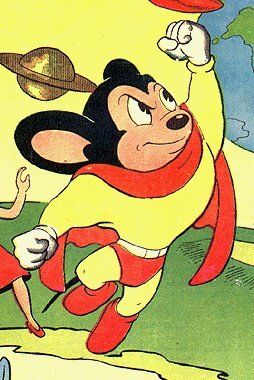 I just pointed out that I agree with DF that "the Mighty Mouse" isn't anything outstanding when it comes to science in chazal. Elemir, thanks for the link. That list is defintely more substantial, but surprisingly, of the 11 sources I gave only 2 are cited there. Which only goes to show how right I was when I said that you can't learn any tractate without encountering scientific facts contradicted by modern science. Couold he be refering to Dictyosteliida? Dictyosteliida, is a slime mold that can form together into a motile slug-like form. Dolphins were known as "men of the sea" in ancient times. I see this blog and the posters as mostly very open minded, thinking people. I also really like most of the posts, they keep people thinking. At the risk of spitting in the wind, I have a serious question. I find in nearly impossible to get answers from the frum world because they mostly avoid even thinking along certain lines. Why the preoccupation with trying to protect the efficacy of the Chazel when we know they were not always correct and in fact quite fallible or rather simply human. The Jewish world will not come to an end, neither will learning, mitvot or Torah study. Does this behavior not seem to be the antithetical to Judaism and learning? It appears very irrational for the so called rationalists to cover up the obvious. I believe a rationalist would or should investigate the facts and adjust their beliefs and practices accordingly, to the best knowledge of the day. Which means Judaism would always be in flux, motion, changing and growing with a broad spectrum of normative practices. I personally believe that is how Judaism was meant to be. "The gemarah treats halacha and science similarly. To the extent that you think their science was wrong, logic would dictate that their halacha is equally suspect." The first sentence is correct, the second sentence is wrong. Scientific methodology has dramatically improved since Talmudic times. Not so halachic methodology. We haven't followed Chazal's science since Gaonic times, but the Talmud Bavli is still the basis for our halachah. Raphael Kaufman writes: "Could he be refering to Dictyosteliida? " Whether yes or no, thanks for informing me about a really interesting creature! For a video of that creature, see: http://www.youtube.com/watch?v=tpdIvlSochk Wow!! "I'd say most people are aware that lions do not gestate for three years." If I had to guess, I would certainly guess less than three years- but until I saw this post, I never thought about the matter one way or the other! The Rambam makes it clear and logically so, that the generations increase in wisdom and knowledge vs. the backwards claim that they decrease as we move away from Sinai. I'm from that 3rd group. I recognize fully, that according to all visible logic, such a creature does not exist, and more importantly CANNOT exist. Yet, Chazal are pretty clear that they believed it DOES (or did at one point) exist. So as far as I'm concerned, that's enough. The real question you have to ask is, would G-d create a scenario where his creations would seem to see something clearly, and then go and instruct them to believe otherwise. Even a most basic education on the purpose of out world and the illusions we live within should be enough to make the answer quite clear. But for those who for some reason cannot trust witnesses to this truth such as Rashbi, the Arizal, the Ramchal, the Bal Shem Tov, one sweeping look at our world and its history should be more than enough to give you your answer.